SOMETHING wants in. To your head. Through this audiobook. Ethan, a digital sound engineer in Los Angeles, becomes aware that his life is unraveling when the audiobook he's listening to reveals his deepest, darkest secrets, escalating until the narrator addresses him directly, threatening to destroy him from within. Vivian, a single mother running an antique store in San Francisco, listens to her audiobook to distract herself from missing her young daughter, but is shaken when the narrative is interrupted by her daughter's voice, faintly calling for help. Ethan and Vivian are drawn together as they fight to solve a generation-spanning conspiracy that begins with a boy listening to the Orson Welles broadcast of War of the Worlds in 1938 and evolves through the latest innovations in digital technology, unearthing the mind-bending concept of a POSSIBILITY PARASITE bent on unleashing an explosion of APOCALYPTIC META HORROR. 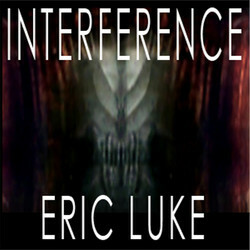 From Eric Luke, screenwriter of EXPLORERS, and comic books GHOST and WONDER WOMAN: an experiment in audio horror. We will send Interference to your Kindle at . Interference has been sent successfully to your Kindle!